But will it come in different flavours? Screenshots of Microsoft's Windows Phone Tango update have surfaced online providing us with more details on the latest version. The images appeared on Russian site wp7forum and look to confirm reports that Tango will be aimed at the lower end of the smartphone market. 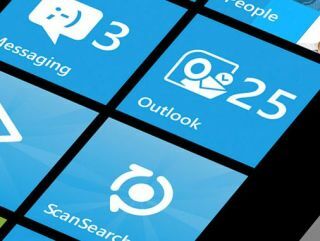 The screens show that Windows Phone Tango will be able to support new features such as sharing video and audio files via MMS attachments. It looks like Tango will have a pre-installed voice recording app, allowing users to quickly make a verbal note of their latest film idea or what they need to grab from the shops. Tango will also allow users to import/export contacts to/from the SIM card and it may provide more data roaming options. Nokia is rumoured to be announcing the Lumia 610 at MWC 2012 in Barcelona which is being touted as the first Windows Phone Tango handset. The budget-centric Tango falls in line with the Lumia 610, which Nokia will be aiming at the lower end of the market and could be available on PAYG only. We will be in attendance at Nokia's MWC 2012 press conference to bring you all the latest from the Finnish company. Nokia has recently lost ground in the smartphone market so needs to pull something out the bag in 2012 to get it back in the game.